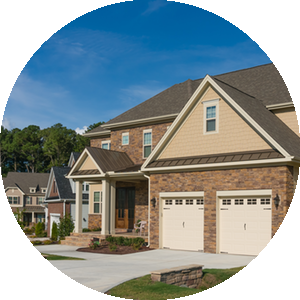 See all the Homes for Sale in Garner NC! 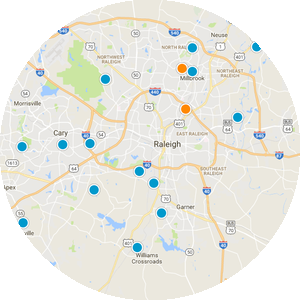 See the Garner Homes for Sale on a map! Stay up to date on the Garner Market! If you are looking for a hometown that provides a low cost of living, you must consider Garner, North Carolina. You’ll be surprised how big a difference a lower cost of living can make, and Garner’s is a whopping five percent lower than the state’s average. Home to around 27,000 residents, Garner is a charming All-America City with nationally recognized schools, fantastic parks, an impressive arts and culture scene, all only ten minutes from Downtown Raleigh. Buy a home in Garner, and you can enjoy a delightful small-town lifestyle with quick and convenient access to all the big city amenities and attractions. Among Garner’s many remarkable attributes, you’ll find great drinking and dining establishments such as Taqueria El Toro, Angie’s Restaurant, White Oak Crossing, Lorraine’s Coffee House, and Brice’s Brewing Company. In the downtown historic district, you’ll find the Garner Performing Arts Center where you can enjoy the “Best Community Theater in the Triangle,” the Towne Players of Garner. You can also catch concerts by world-recognized performers during the Broadway Voices series. Adding to the allure, Garner also hosts a multitude of special events, festivals, celebrations throughout the year. Among the locals favorites are the Groundhog Day celebration at White Deer Park, Spring Eggstravaganza at Lake Benson Park, and the Light Up Main festival and Garner Christmas Parade held in downtown Garner. Garner real estate has something for everyone. There are condominiums and townhomes in Garner, though they are not as plentiful as single-family homes. Most homes for sale in Garner are single-family, and many of them are two-story. You will find a delightful mix of both new construction and older homes in Garner. Available real estate in Garner falls within a broad price range that will accommodate most budgets. 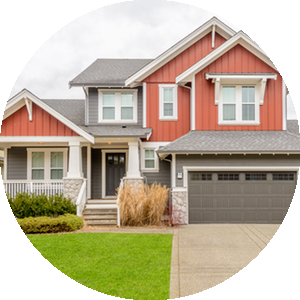 Whether you are looking for an efficient, low-maintenance condo, or a spacious single-family home with room to grow, please allow us to assist you in your Garner home search.